Many have commented that Foh San in Ipoh is overrated. I’ve tried the old Foh San as well as the new (and larger) outlet just a few months ago. 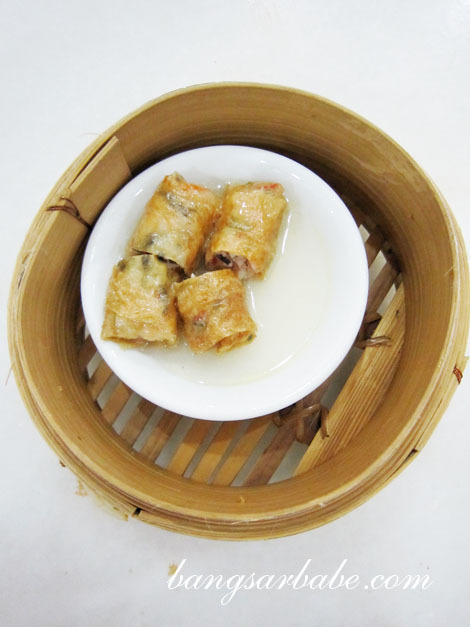 A friend told me about this new dim sum place called Greentown Dim Sum Café in Greentown Avenue that is halal and supposedly tastier than Foh San and Ming Court. Despite being the first customers that morning, we had to wait for approximately 15-20 minutes for our dim sum as everything is freshly prepared. 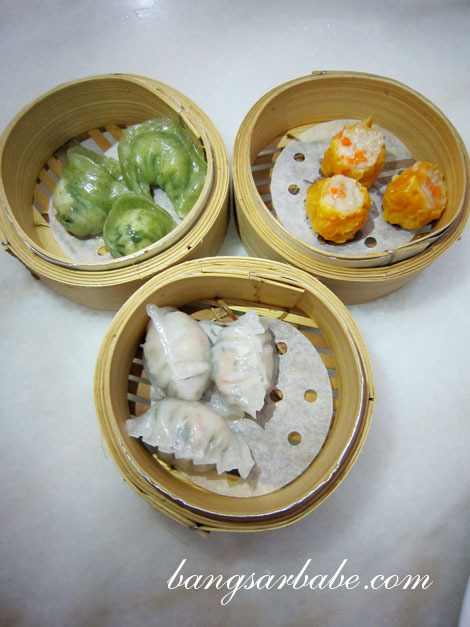 The menu comprised more than 30 types of dim sum, noodle and rice dishes – dim sum are priced from RM3.20 onwards. 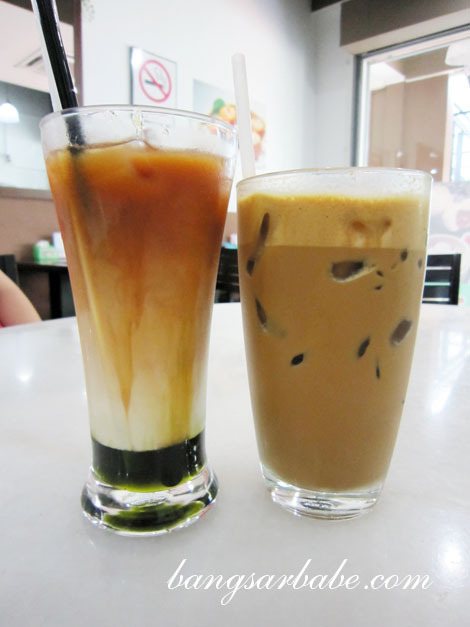 My three-layer tea could have been thicker and more ‘kao’, but rif’s iced white coffee was aromatic and pretty good. The fried radish cake (RM4.20) had crisp edges with a light wok hei flavour. This came with a load of crunchy beansprouts and a good dose of chili. If you’re not too keen on your carrot cake being spicy, ask for the chef to tone down the heat. 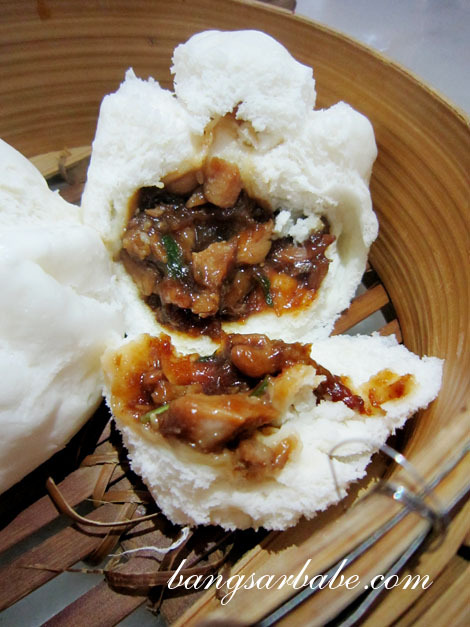 Barbeque chicken pau (RM3.60) was decent, but hardly memorable. I thought the minced filling was too lean and lacking in fat. 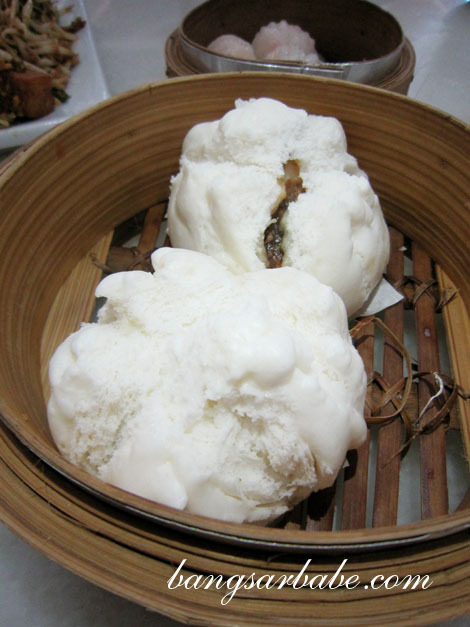 The pau however was fluffy yet had a good bite. 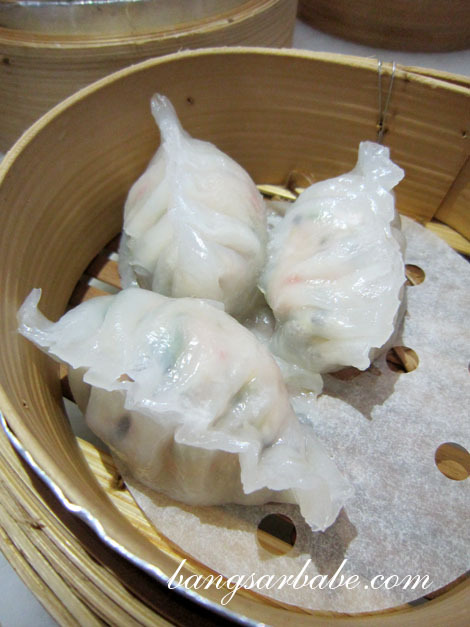 Disappointing was the har kao/prawn dumpling (RM4.60). The translucent skin was too thick and broke easily. 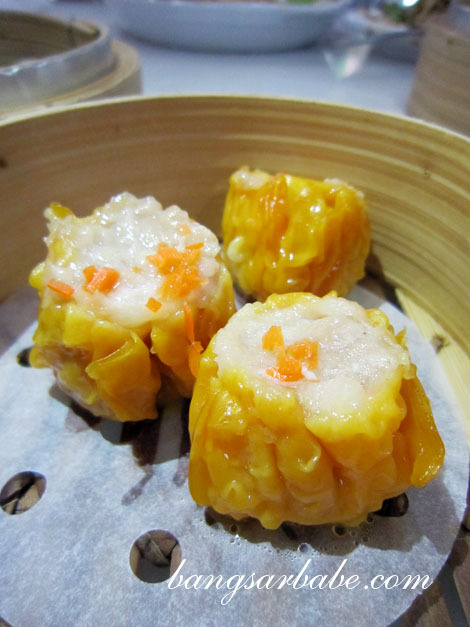 While the prawn dumpling was a letdown, the chicken siew mai (RM3.60) tasted quite good. I didn’t feel like I was missing out on the pork. 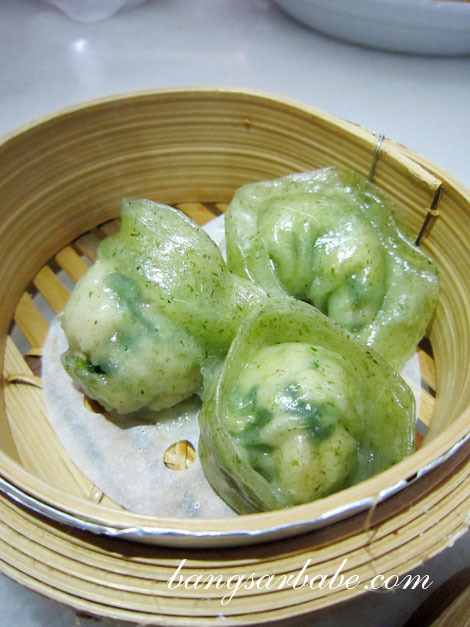 We also enjoyed the spinach dumpling (RM3.80) – the green translucent skin was adequately thick with a light flavour from the spinach. The kau chow dumpling (RM3.90) was just alright in my opinion. My mother in-law however, found them quite tasty. We also ordered the hive yam puff (RM4.60) and prosperity chicken balls (RM5.20); the latter didn’t look anything like chicken balls. 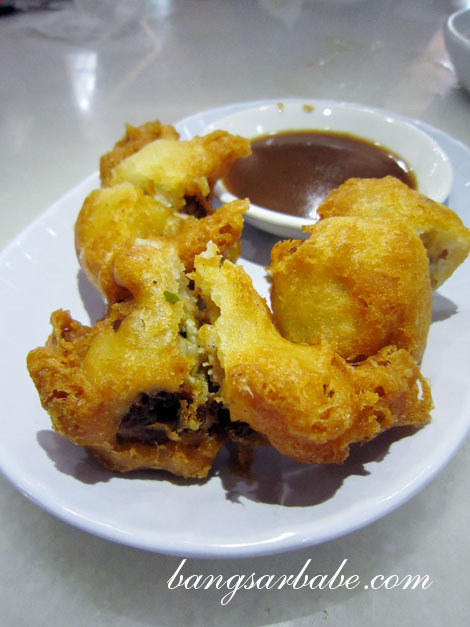 Looks aside, the chicken balls were tasty and went well with the brown sauce provided. 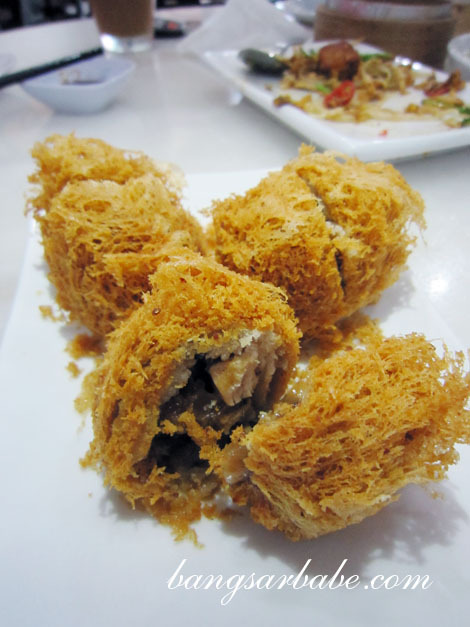 I found the yam puff just alright – the filling could have been more moist, but that’s a personal preference. 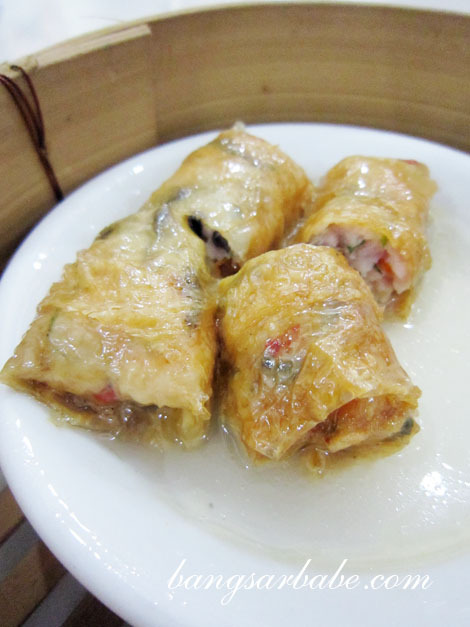 The steamed beancurd roll (RM3.40) took ages to arrive and it wasn’t anything to shout about. Portion was miniscule too. 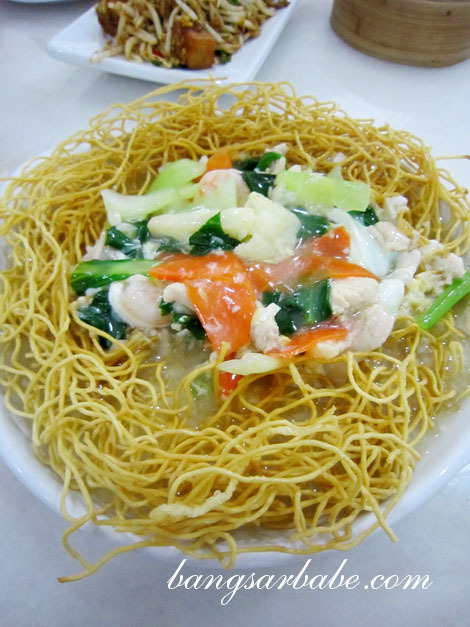 I did enjoy the fried shang mee (RM6.20), similar to the wat tan hor but with a crispier texture. On a whole, I still prefer Foh San (however overrated) to Greentown. 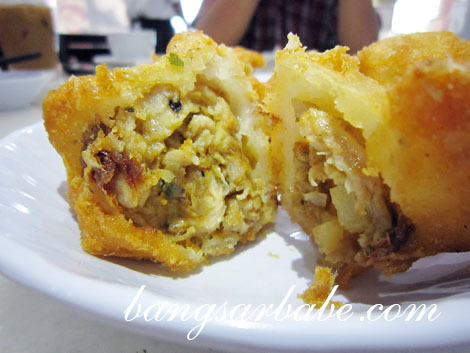 That said, it is a good option for those who want to enjoy halal dim sum. Note that they have a JAKIM halal certificate. Verdict: A few misses, but the dim sum was decent in general. 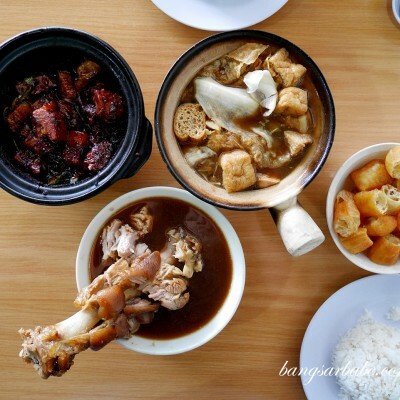 Well still got tauge chicken hor fun…. 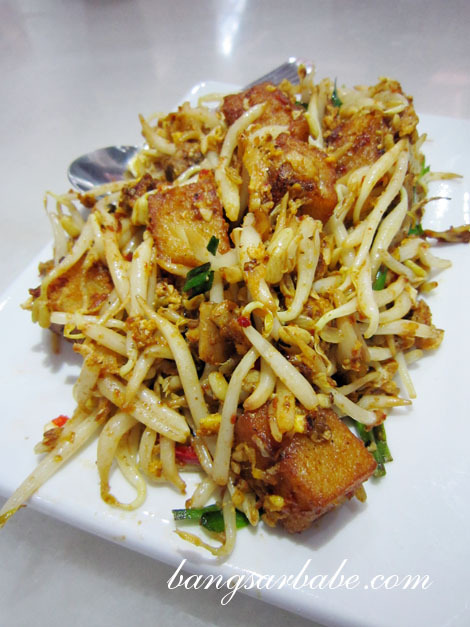 I love the fresh bean sprouts in Ipoh. They seem to be fatter and juicier than elsewhere. I keep hearing the reason is the water. Y halal dim sum? Any Muslim customer?